What happens after a DUI conviction? - Answer from MyDuiAttorney. 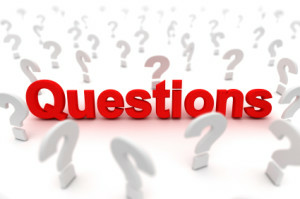 Home › Questions › What happens after a DUI conviction? All states have strict DUI laws which impose severe penalties and fines for all drivers who are arrested, charged, and convicted of DUI. A DUI conviction can be imposed on drivers who either plead guilty, who plead no contest and receive a plea bargain, or who are found guilty of DUI in court by a judge or jury. The punishment you will receive after a DUI conviction will vary depending on your state’s laws, which could be mandatory punishments established by state statutes, or they could be at the discretion of the judge. Punishments and penalties will also vary based on whether you had any prior DUI convictions or aggravating factors (i.e., a child was in the car at the time of the DUI arrest or you caused severe injuries or death to another person). What penalties and fines can I expect after DUI conviction? Not only are there short-term consequences of a DUI conviction, including fines, penalties, and jail time, but there are other long-term consequences which can be even more difficult to navigate, including a license revocation, high insurance rates, and employment challenges. 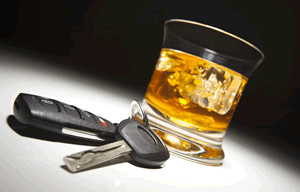 A DUI conviction can result in a driver’s license revocation. Often your license may be suspended or revoked for several years, making it difficult to find work, run errands, or participate in social events. Employers also may run background checks prior to hiring you for a job. Although a DUI conviction is no guarantee that you will not be hired for some jobs, some employers may decide not to hire you, especially in a weak job market where there may be hundreds of candidates applying for the same job. Jobs which require driving, such as a long-haul trucking or delivery jobs may be especially difficult or impossible to get after a DUI conviction. Additionally, some landlords may frown on tenants who have criminal convictions, especially if the DUI conviction resulted in a felony charge. Finally, one of the most costly results of a DUI conviction is the likely increase in your insurance rates. Some states will require you to purchase expense insurance coverage which can dramatically drive up your rates, often for years. If you have been arrested for DUI it is time to talk to a DUI lawyer. Do not automatically plead guilty to DUI without first considering the long-term ramifications. An admission of guilt can lead to many consequences, which can include not only the fines and penalties established under state laws, but also issues such as finding future employment, higher car insurance rates, and housing considerations. Although DUI is one of the most common criminal offenses committed by individuals in the United States, many drivers never consider the long-term ramifications of a DUI conviction, and they regret it for years.